The new "Project Galileo", a technology preview from Autodesk Labs is a tool for creating digital cities - models integrating mapping data, CAD, geospatial, building, utility networks and database data. 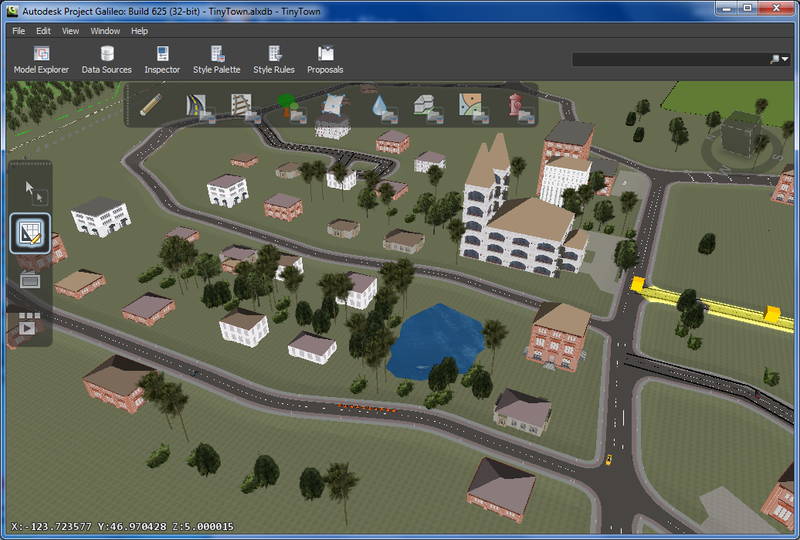 It may resemble a combination of computer games Sims and Trainz Simulator, but on a professional level - with precise tools, with support of professional file formats, and with support of very large datasets. It still keeps the ease of use known from the country-editors in the kids games. In Galileo, you can sketch streets, add rivers and ponds, elevate terrain, sketch buildings and apply their facade pictures, add city entourage (city furniture). You can create proposals, analyse, navigate and animate the models. Galileo saves its projects (cities) in the .alxdb format. You can import terrain surface and terrain pictures (aerials) in the most common file formats (.dem, .tiff, .ecw, .jpg, .png, ...). Building and entourage models can be imported from .dae, .fbx, .obj, .sff and .3ds formats. 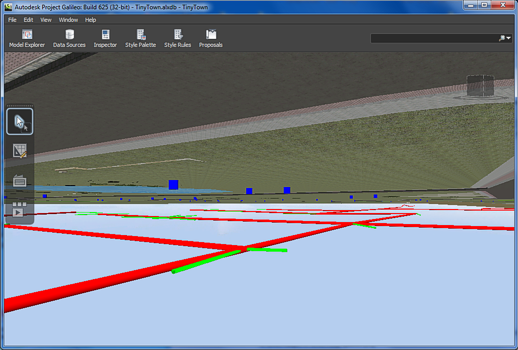 You can also create 3D buildings (in fact: 2.5D buildings) from 2D footprints. The standard LandXML format is also supported for importing data, or you can use WFS web sources. Any object can be linked with database data in the .sdf, .shp and .sqlite file formats or directly from an ODBC, Oracle, MS SQL, ArcSDE or MySQL database. 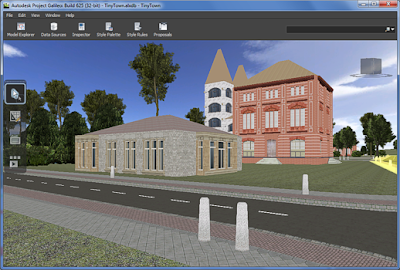 Project Galileo emerges from an older project "Metropolis" and from the existing Autodesk product - "Land Xplorer Studio". 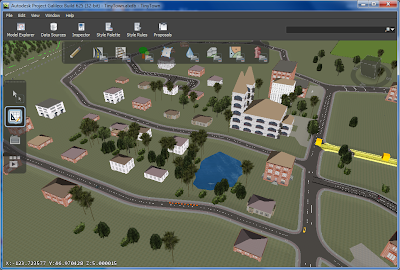 Download the city planning tool at Autodesk Labs - Galileo. The Autodesk user conference "Autodesk University 2010" held currently in Las Vegas brings a series of interesting news and new product announcements. You can also take part on this conference as a virtual attendee - see "AU virtual" for Autodesk subscription customers. How good is your CAD hardware? This tool can help you to get help or a fix if your application happen to crash. Autodesk is also using the anonymous data collected through this tool to optimize the user interface and the most used commands. If you have refused your participation initially, you can change your mind using the Help menu item (question mark) or with the command CUSTOMERINVOLVEMENTPROGRAM (a long name...). AutoCAD WS (formerly "Project Butterfly") is a free, cloud version of a CAD editor that supports the DWG and DXF file formats. This CAD tool runs on virtually any device - so you can create and edit your CAD drawings anywhere - online from an internet browser (on any desktop computer, laptop or netbook), and with WS Mobile even from a mobile device like an Apple iPhone, iPad or iPod Touch. AutoCAD WS needs an internet connection as your DWG file is first uploded to the Autodesk's web cloud server (Amazon S3) and the client application (a browser, iPad, etc.) then communicates with this cloud server. So you can also share, publish and markup CAD drawings in a team with your collegues. On the server, you have a storage space for your drawings, including their revision history (timeline). With the plug-in module for AutoCAD and AutoCAD LT 2011 you can synchronize your DWG files directly from your AutoCAD environment with AutoCAD WS on a mobile device. Autodesk takes the web cloud computing seriously. And I am not talking just about the latests tools from Autodesk Labs - various web-based tools are available from Autodesk for several years already. Maybe they were not called by the popular buzzword "cloud" at that time but they are web-based services and they are scalable so they are true "cloud tools". All these tools with very different functionality prove that cloud computing is today a real thing in the CAD industry. 2D SaaS CAD and Collaboration - a "web-based AutoCAD" tool, a very clever technology allowing to work in a graphics-intensive CAD application in "real-time"
Cloud FEA/CFD Computation Service - TBA? My favorites are the Project Neon and Homestyler. Autodesk just released the latest version of its plant design software - AutoCAD Plant 3D 2011. It is an important release for us as this is the first version of Plant 3D distributed also for the Czech market and XANADU is currently the sole authorized reseller of Plant 3D in Czechia. Plant 3D is an effective tool for designing piping systems, chemical and processing plants. It contains full functionality for concepts, 3D modelling, pipe routing, analysis plus isometrics and documentation of complex plant designs and their support structures. Its equipment libraries contain models and blocks in many industry standards. Like any other "industry-version" of AutoCAD, Plant 3D works with the standard DWG file format, it is based on a familiar user interface and it offers also all the commands and functions of the plain AutoCAD. AutoCAD Plant is compatible with the 2D tool AutoCAD P&ID (process diagrams and 2D) and Autodesk Navisworks (project coordination, collision detection). In fact you can also receive AutoCAD Plant 3D as a "Suite" (Autodesk Plant Design Suite 2011) bundled with AutoCAD P&ID and Autodesk Navisworks. 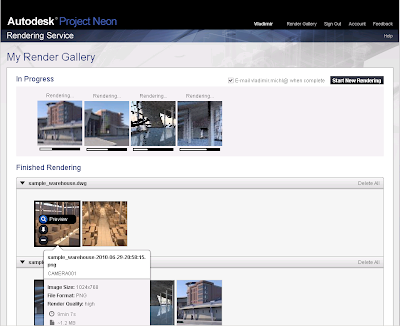 New web rendering service Autodesk Project Neon is an interesting Labs product employing the "unlimited" computing performance of the internet server cloud. 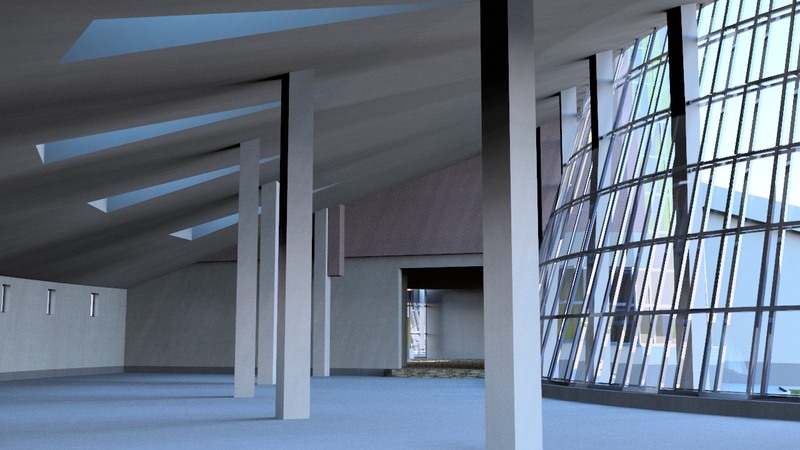 With this free web application (technology preview by Autodesk Labs) you can easily create photorealistic renderings of views in complex 3D DWG models of your AutoCAD projects. So you can push off the resource-intensive rendering jobs from your computers to the scalable network of Autodesk computers (or probably rather Amazon computers). You don't need to burden your CAD workstations or upgrade their performance parameters. You can upload your drawing either as a DWG file as an eTransmit ZIP package containing the neccessary xrefs and material textures. 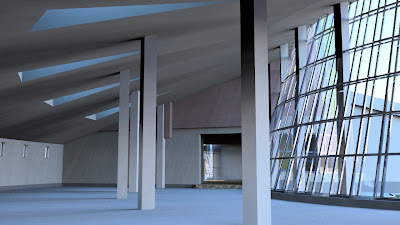 The 3D DWG drawing must contain the scene model, light definitions and first of all predefined named views, which you will then select as a rendering parameter. You can find the Project Neon service on neon.labs.autodesk.com. After you login to your Autodesk account (from your Subscription or from Autodesk discussion forums) you can upload your project drawing, choose the requested view for rendering and the rendering quality. Then you can just wait till the U.S. servers diligently process your project. Depending on the complexity of your scene and the selected resolution you can expect the results in minutes up to tens of minutes. You can let the service render multiple scenes in parallel. You don't have to wait for the results - the service will send you a notification e-mail when the render is finished - then you can pick up (download) the final rendered image (PNG or JPG) from your account. E.g. the sample scene (7MB DWG) takes about 12 minutes to render in high quality and in the resolution of 1920x1080 pixels. No, I am talking about things normally hidden in AutoCAD drawings. Sometimes you just want to reveal more and show data which normally stay hidden. There are several areas of hidden data, hidden parameters and information deep in the DWG drawing database. And here are some methods how to dig out this data. The most obvious item - the geometry. Reveal hidden layers by thawing and enabling all layers (the LAYER command). Unhide hidden (isolated) objects by the UNISOLATEOBJECTS command. Hidden attributes - display hidden attributes in blocks by the ATTDISP command. Empty texts - some drawing contain texts with space-only characters. Such texts are not visible until you set the QTEXTMODE variable. Hidden face edges - 3DFaces with hidden edges can be revealed by setting the SPLFRAME variable to 1. Drawing tables - a DWG drawing does not contain only geometry but also non-graphical objects: styles, tables, linetypes, etc. You can list them e.g. through the VisualLisp IDE. Start the VLIDE command and use View > Browse drawing database. EED - Extended Entity Data - can contain valuable information. You can list the EED contents for any drawing object with the Express Tools command XDLIST. Hyperlinks - if you attach a link (URL) to a drawing object, you may want to show it again. Use the SHOWURLS command. History - the history of a drawing is normally hidden - you cannot tell what was drawn first and what next. With the LISP utility "HISTORY" you can animate the history of your DWG drawing (see www.cadstudio.cz/download). NB: You can find all mentioned commands and variables in the AutoCAD commands database on CADforum.cz. Did you know there are several ways how you can get AutoCAD, Civil 3D, Inventor, Mechanical or 3ds Max for free? Yes, Autodesk gives its software for free for selected groups of users. The major one of these groups are students. In most countries, students can download and use educational versions (fully functional software, EDU banner embedded in the drawings) of the most important Autodesk CAD, BIM and GIS software products. This offer is valid for several years already and the number of students who took this opportunity passed 1 million. Another group qualified for free Autodesk software (plus training and certifications) are displaced employees - the unemployed. The "Autodesk Assistance Program" helps these professionals to stay in touch with the latest CAD technology and update their skills. This program is valid through January 31st, 2011. See www.autodesk.com/assistance. (Prague, April 1st) Autodesk has released a revolutionary simplified user interface in the new AutoCAD 2011. This is an unprecedented deed in the software industry, but other software vendors have already expressed their intentions to follow the same way. What is the matter? The costs of software localization to multiple languages and the time delays between the release of a new version and its localizations were coming into sharp conflict with the economic requirements for cost reduction in the period of global recession, and with the frequency of launching new versions of AutoCAD. At the same time, the number of AutoCAD users in China and other Asian countries is increasing rapidly. The estimated Y/Y growth is 21% in these regions - and in the year 2035 (the year when Himalayan glaciers should have melted), the users in that part of the world will already make 86.3% of the AutoCAD user base. According to the research study of the Springfield University, the knowledge level of AutoCAD users in the US and in Europe has grown so much that 89.8% percent of them follow only the icons and do not need to read the function names and command prompts. Plus, parts of the Autodesk software development team comes from China. As a logical conclusion from all these effects, Autodesk has decided to develop and deliver only the Chinese version of AutoCAD, with the Chinese user interface. While all the icons and functions remain unchanged, any average user will be able to quickly navigate in the new AutoCAD. First-time users can make use of a paper template delivered with AutoCAD - by simple attaching this template to the screen they can quickly identify the individual functions in menus and ribbons. 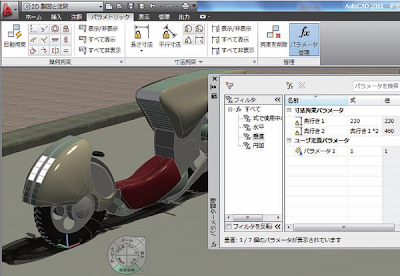 Moreover, the new web-based online help in AutoCAD 2011 can employ the Google Translate web tool to automatically translate the documentation to virtually any language - the Chinese version of AutoCAD can so easily get into new language areas where no localized versions of AutoCAD existed yet (e.g. Swahili or Galician). Printed manuals pose no problem as there are no printed manuals. The initial reactions of users and journalists to this innovation depend on the region. The computer supplement of the Chinese government newspaper Ming Pao calls this Autodesk's decision a "step in the right direction". On the other hand, a reputable French blogger Patrick Merde chooses rather dismissive words in its heavily commented blog post. The reaction of financial markets is rather positive, the Autodesk shares (ADSK) rose after the announcement of about 2.8%. Therefore, we can probably look forward to similar solutions also in other programs. Have a good April Fools' Day. In our communication with customers and other CAD/GIS users we often hear questions and proposals to simplify and streamline everyday work with CAD and GIS software. We at CAD Studio (former: XANADU) try to "materialize" these inducements into specific add-on applications, which customize or add the missing functionality to the existing Autodesk products. 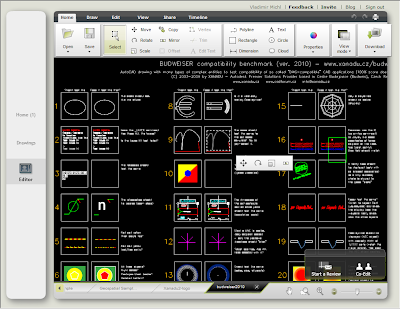 We then provide the absolute majority of such add-on applications for free - for download from the page Xanadu freeware. A new application of this freeware category is the tool for creation of custom linestyles for GIS maps. XANADU FDO LineStyle is an AutoCAD add-on which converts the geometry of selected drawing objects to the XML definition of linetypes(line symbols) used for FDO layers of GIS maps in AutoCAD Map, Autodesk Topobase and MapGuide. Without this tool, you would need to create your new custom linetypes through manual editing of codes in XML files. You can find more information and download of this .Net utility on the page Xanadu FDO LineStyle. XANADU Inc. (now "CAD Studio"), the leading supplier of CAD, GIS and IT solutions in the Czech and Slovak Republics is an Autodesk reseller since 1994. Autodesk has now awarded XANADU the highest level of partnership - the Autodesk Gold Partner for both the Manufacturing and Architecture, Engineering & Construction industries. At the same time, XANADU became the Autodesk Consulting Services Partner providing certified experts for industry solutions and implementation of Autodesk's CAD and GIS technologies. XANADU has achieved the "Gold" partnership level not only with Autodesk but also with another two world leading IT vendors - HP and Microsoft. We offer the highest level of support for customers combining CAD and IT enterprise solutions. With the new Autodesk Project Butterfly you can edit your DWG drawings inside a web browser, over the internet. After some initial attempts with limited functionality (ProjectDraw), Autodesk Labs now introduced a very interesting new web service which behaves more like a standard desktop version of AutoCAD. Unlike AutoCAD, you don't need to install any software. Butterfly runs just inside your internet browser. The technology behind Butterfly is Adobe Flash, Adobe Flex and the computing power of the rented Amazon Compute Cloud. Despite that Butterfly works with the AutoCAD file format - DWG, it supports only a limited set of DWG object types (see our benchmark drawing - Budweiser.dwg). One of the most interesting functions (would be popular even in AutoCAD) is the "Timeline". Using a simple slider you can roll back the drawing version to any older status of it. The file versions are saved "in the cloud" but you can import and export DWG files from/to your local computer. All standard functions like object selection or mouse zooms use the same logic and almost the same speed as in full AutoCAD. You can use standard object types - lines, polylines, dimensions, raster images, blocks and their properties - color, layer, linetype, lineweight. For simple diagramming, sketching and drawing reviews, Butterfly can replace your desktop version of AutoCAD or AutoCAD LT.